Update 4 January 2019: Oslo, the Norwegian Capital, will officially kick-off its year as European Green Capital 2019 at its Opening and Handover Ceremony on 4 January. Nijmegen in the Netherlands, holder of the title in 2018, will pass on the prestigious title to Oslo at this Ceremony. The first Norwegian city to hold the European Green Capital title, Oslo was awarded the title due to its holistic approach to urban sustainability, covering topics ranging from biodiversity, public transport, social integration and citizen health. The city was particularly commended for working systematically to re-open 3,000m of streams and rivers, making them accessible to the public and facilitating the development and restoration of habitats. The jury was also impressed with Oslo’s ambitious targets to cut emissions by 95% by 2030 and to become carbon neutral by 2050, along with improvements in cycling and public transport infrastructure, introducing car free zones and encouraging the use of electric vehicles. The Opening and Handover Ceremony also officially begins Oslo’s Opening Weekend as European Green Capital 2019. The Opening Weekend aims to celebrate the people of Oslo who, through their initiatives, creativity, innovative solutions and bold decisions, have made Oslo a role model for sustainable city development, as well as a better city to live in. Oslo’s European Green Capital 2019 programme is a result of a collaborative effort, bringing together almost 200 partners to deliver more than 350 planned events, ranging from large, international conferences to small neighbourhood events for locals, to engage the entire city. 2 januari 2018: Nijmegen in the Netherlands is officially becoming the European Green Capital for 2018 at the Handover Ceremony taking place on 20 January. The first Dutch city to hold the European Green Capital title, Nijmegen has shown itself to be a leader in a number of key environmental areas. The city was particularly commended for its cycling infrastructure, its ambitious targets for energy reduction, its water and waste management and its commitment to citizen engagement. Congresses and symposiums, festivals and special activities in the area: there is plenty to see and do in and around the city throughout the year during Nijmegen Green Capital. 15 April 2011: The Hamburg European Green Capital exhibition fosters exchange and mutual learning throughout Europe. The “Train of Ideas”, a mobile exhibition that will be escorting Hamburg’s ideas of sustainable cities across Europe for the next seven months, can be visited at Hamburg-Altona this Friday. Visitors can experience this interactive exhibition until 21 April. The “Train of Ideas“, will then set off through 17 European cities. The first stop is Copenhagen, where it will remain from 26 to 29 April. The train will then travel on to Malmo, Gothenburg, Oslo, Zurich, Munich, Warsaw, Riga, Tallinn, Vienna, Barcelona, Marseille, Nantes, Paris, Brussels, Amsterdam, Antwerp, and finally return to Hamburg. 24-10-2010: Spanish regional capital Vitoria-Gasteiz and the French city of Nantes have been named as winners of the European Green Capital award for 2012 and 2013. The awards were presented by EU Environment Commissioner Janez Potoznik at a ceremony in Stockholm, European Green Capital for 2010. Vitoria-Gasteiz – winner 2012: Vitoria-Gasteiz, a regional capital of northern Spain, has made great progress in greening a traditional urban environment. The “Green Belt”, a semi-natural green area partially reclaimed from degraded areas, surrounds the centre, ensuring its entire population of almost a quarter of a million people lives within 300 metres of an open green space. Numerous measures are in place to assist and increase biodiversity and ecosystem services. Flora and fauna are monitored and habitat fragmentation is reduced wherever possible. The city is successfully coping with water scarcity and has steadily decreased its water consumption over the last decade. Many water related investments have been made to improve water supply and quality, reduce losses, and work towards sustainable consumption. Vitoria-Gasteiz has an ambitious objective of reducing domestic water consumption to below 100 litres per capita per day. 26-05-2008: Europe is now an essentially urban society, with four out of five Europeans living in towns and cities. Most of the environmental challenges facing our society originate from urban areas, but it is also these urban areas that bring together the commitment and innovation needed to resolve them. The European Commission has long recognised the important role that local authorities play in improving the environment, and their high level of commitment to genuine progress. The European Green Capital Award has been conceived as an initiative to promote and reward these efforts. Nou laten we inderdaad maar hopen dat deze nieuwe verkiezing veel gemeenten in alle 27 Europese landen gaat aanzetten tot echt groene steden. Zou geweldig zijn en ik ben nu al benieuwd naar de deelnemers. Heb helaas niet kunnen vinden wat er naast de eer aan de uitverkiezing verbonden is. De Establishing Declaration biedt ook niet veel houvast. De oproep om gemeenten met meer dan 200.000 inwoners aan te melden is open. U kunt uw gemeente on-line aanmelden tot 1 oktober 2008. Tenminste als u wilt worden uitgeroepen tot de allereerste Green Capital of Europe ! 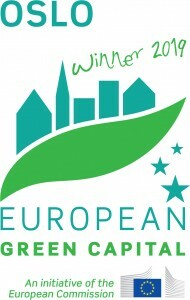 At an award ceremony in Brussels on 23 February 2009, it was announced that the first European Green Capitals will be: 2010: Stockholm en 2011: Hamburg. Antwerpen stelt zich kandidaat voor deze titel in 2012 of 2013. De stad doet al lang inspanningen voor een beter milieu en heeft ambitieuze doelstellingen voor de toekomst. De hoofdstad van de Spaanse autonome regio Baskenland, Vitoria-Gasteiz, en de Franse stad Nantes zijn uitgeroepen tot winnaars van de prijs voor groene hoofdstad van Europa in 2012 en 2013. Deze prijs van de Europese Commissie is bedoeld om steden ertoe aan te zetten de kwaliteit van het leven in de stad te verbeteren door in hun stadsplanning systematisch rekening te houden met het milieu. As rolling ambassadors for the city of the future, the Train of Ideas will take its urban environment exhibition on the road. The Hamburg European Green Capital exhibition fosters exchange and mutual learning throughout Europe. European Green Capital provides a platform for Europe-wide exchange to discuss environmental issues with experts and citizens. Hamburg will send the European Green Capital on wheels with a “Train of Ideas” throughout Europe. The focus of the exhibition reaches beyond Hamburg’s perspective to focus on the wide-range of issues European cities of the future face. The central theme addresses how cities of the future may attain sustainable, environmentally friendly cities with a high quality of life. Exchange of innovative environmental projects: Hamburg will disseminate its best environmental projects in the form of an interactive exhibition throughout Europe. The exhibition features the Hanseatic city’s excellent best practice projects from the metropolitan region. Additionally, numerous cities are invited to present their innovative environmental projects as well. The exhibition: The Train of Ideas exhibition will introduce the European Green Capital’s themes to a broad international audience presenting innovative ideas in exciting new ways. Featured themes include mobility, energy and climate, nature and city greenery, urban development and living, resource protection and economy as well as major challenges and opportunities cities of the future face. The Train of Ideas, a mobile exhibition that will be escorting Hamburg’s ideas of sustainable cities across Europe for the next seven months, can be visited at Hamburg-Altona this Friday. Visitors can experience this interactive exhibition until 21 April. The train will then set off through 17 European cities. The first stop is Copenhagen, where it will remain from 26 to 29 April. The train will then travel on to Malmo, Gothenburg, Oslo, Zurich, Munich, Warsaw, Riga, Tallinn, Vienna, Barcelona, Marseille, Nantes, Paris, Brussels, Amsterdam, Antwerp, and finally return to Hamburg. De ‘Train of Ideas’, de rijdende tentoonstelling over ecologisch leven in de stad, is in Amsterdam gearriveerd. Hij staat van 15 tot 19 september op het terrein van de Westergasfabriek. Aan boord is een inspirerende, interactieve tentoonstelling te zien over duurzame stadsprojecten. De Train of Ideas is een initiatief van Hamburg, de Groene Hoofdstad van 2011. Amsterdam is één van de achttien steden die de trein aandoet. De tentoonstelling laat ook vier Amsterdamse duurzaamheidsprojecten zien. Op 15 september is de Train of Ideas vanaf 13.00 uur te bezichtigen en te beleven, op de andere dagen van 10.00 tot 19.00 uur. De tentoonstelling is gericht op een breed publiek. De bezoeker kan zich via interactieve activiteiten en touchscreens laten inspireren voor een duurzaam leven in de stad. Scholen kunnen een rondleiding krijgen, evenals medewerkers van bedrijven die meer willen weten over specifieke onderwerpen op het gebied van milieuvriendelijke economische activiteiten en energiebesparing. De toegang is gratis. De gemeente Hamburg wil met de Train of Ideas andere Europese steden aansporen tot duurzame stedelijke ontwikkeling. De reden is dat steden verantwoordelijk zijn voor driekwart van de broeikasgassen. Energie-efficiency en duurzaam gebruik van natuurlijke hulpbronnen beperken de uitstoot van CO2. Daarnaast is milieuwinst te behalen met duurzame consumptie, milieuvriendelijk transport en verantwoord ondernemen. De Train of Ideas gaat over de vraag hoe steden milieuvriendelijker en duurzamer kunnen worden. Met de interactieve expositie is een waaier aan oplossingen te zien en te beleven. Achttien steden in Europa, waaronder Amsterdam, leverden ruim honderd praktijkvoorbeelden in de categorieën: ruimtelijke ordening en stadsontwikkeling; mobiliteit; energie en klimaatbescherming; stadsnatuur en stedelijk groen; natuurlijke hulpbronnen en duurzaam ondernemen; verantwoord consumeren. In de trein kan de bezoeker een virtuele busrit maken die hem onder meer bij de HafenCity brengt. Dit Hamburgse stadsvernieuwingsproject staat model voor duurzame stadsontwikkeling en milieuvriendelijk bouwen. Andere delen van de tentoonstelling belichten de gevolgen van het verdwijnen van natuurlijke hulpbronnen en van klimaatverandering voor steden en platteland. Op internet is de Train of Ideas ook te zien (www.train-of-ideas.net). Naast een schat aan informatie biedt de Train of Ideas ook activiteiten die de bezoeker in contact brengen met burgers, wetenschappers, bestuurders en politici elders in Europa. Amsterdam presenteert op de tentoonstelling onder meer haar actieplan voor elektrische mobiliteit. Amsterdam wil op termijn (2040) alle voertuigen weren die op fossiele brandstoffen rijden. De stad gaat de elektrische auto stimuleren met oplaadstations en gratis stroom. Ook het milieuvriendelijke openbaar vervoer en het netwerk van veilige fietsroutes zijn in de Train of Ideas aanwezig. Dat geldt ook voor het Afval Energie Bedrijf dat in het Amsterdamse havengebied elektriciteit en warmte uit afval produceert. Uit de verbrandingsrestanten haalt het bedrijf waardevolle metalen en andere ruwe materialen. Van geheel andere orde is het ecologisch verantwoorde inkoopbeleid. Gemeenten zijn grootgebruikers van elektriciteit, gas, computers, papier en andere kantoorartikelen. Amsterdam hanteert hiervoor strenge richtlijnen en hoopt via de tentoonstelling ook andere steden te motiveren voor een duurzaam inkoopbeleid. De Duitse industriestad Essen heeft in de afgelopen jaren een opvallende metamorfose ondergaan. De stad in het Ruhrgebied was decennialang het centrum van de Duitse kolen- en staalindustrie. Inmiddels zijn de mijnen gesloten en is er op het terrein van een voormalige ijzergieterij een park aangelegd. Vorig jaar werd Essen uitgeroepen tot Groene Hoofdstad van Europa. Hierna zijn er nog meer projecten gelanceerd om de lucht- en leefkwaliteit in de stad te verbeteren. Zo zijn er meer fietspaden en parken aangelegd en een oude kolenmijn wordt nu gebruikt als creatieve broedplaats. Van 16 tot en met 22 september doet Nijmegen mee aan de Europese Mobiliteitsweek. Deze bruisende week – vol leuke evenementen, interessante activiteiten en uitdagende challenges – staat in het teken van duurzame mobiliteit. Wat dacht je van een autovrije Waalbrug, een innovatiefestival met demonstratie van drones en zelfrijdende auto’s, een waterstof-rally of uitprobeerdagen voor e-bikes? Nijmegen kiest voor duurzame mobiliteit, zodat we ook in de toekomst een bereikbare stad blijven.